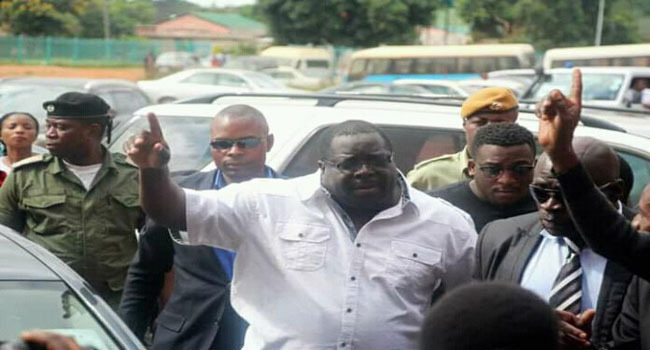 CHISHIMBA Kambwili facing multiple charges of corruption of more than K5 million suspected to be proceeds of crime is in the University Teaching Hospital (UTH) in Lusaka after he collapsed at court yesterday when his bail was being processed, his legal team has confirmed. One of his lawyers Christopher Mundia junior, confirmed that Kambwili, who yesterday took plea and was granted bail of K10,000 along with other conditions, had collapsed and was being treated at the UTH. Mr Mundia indicated that the bail process delayed because of the required conditions of two working sureties of manager status of K100,000 each in their own recognisance and to surrender his passport. 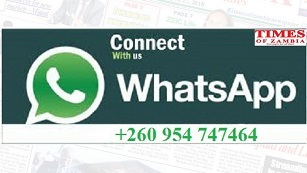 “He (Kambwili) collapsed and is currently at UTH receiving treatment,” Mr Mundia said. After approving of the two sureties, in a matter before Principal Resident Magistrate Mwaka Mikalile, it was also decided that the confiscation of Kambwili’s passport, be double-checked, and it was at this point, that Kambwili was believed to have collapsed. And during ruling against objections by the State to grant Kambwili bail on grounds that he was a flight risk, Ms Justice Mikalile dismissed the arguments, saying they were merely speculations, which could not be substantiated at this stage. “Granting of bail is at the Court’s discretion. I have taken into consideration, submissions by both parties, but I must say that this court will not be swayed by speculations. I grant the accused a K10,000 cash bail, K100,000 to two working sureties and to surrender his passport to the clerk of court which could be requested if needed,” she said. Kambwili finally took plea yesterday after some delays compounded by his ill health. He is facing 34 counts of being in possession of more than K5, 246,195 suspected to be proceeds of crime which he allegedly received through his various bank accounts. He is alleged to have committed the said offences on dates between May 5, 2014 and September 9, 2016. When the matter came up yesterday, the State informed the court that the accused was present and was scheduled to take plea. Kambwili’s lawyer Keith Mweemba and Christopher Mundia junior applied for bail on behalf of their client as he was of fixed abode and trusted to abide by the conditions set by the court. But ACC prosecutor Clifford Moonga objected to the application claiming that the accused was a flight risk and had exhibited signs of bolting before when he appeared at the ACC questioning. Mr Moonga also argued that Kambwili had absconded court before when he was expected to appear before Magistrate David Simusamba, forcing him to issue a threat to bring him on a warrant. But Mr Mweemba asked the court not to entertain the reasons advanced to object the application for bail because the prosecutor submitted at the bar, which was not allowed by law. The matter was adjourned to June 4 this year for trial. Meanwhile, Heritage Party president, Godfrey Miyanda who was the third interested party in the case in which four political parties are asking the Constitutional Court to decide on the eligibility of President Edgar Lungu to contest the 2021 general elections, has withdrawn from the case. Gen Miyanda has further withdrawn all the applications made in the proceedings, meaning even the ruling that was scheduled to be delivered yesterday afternoon in a case of alleged contempt against Mr Lungu falls off. The Court now only has to make a ruling on the petitioners’ application for the court to reconstitute itself into a panel of seven judges on a date to be communicated later. When the matter came up for hearing of the remaining two applications filed by Gen Miyanda, he informed the court that he had a lengthy discussion with the Attorney General Likando Kalaluka and agreed that the applications be withdrawn. Mr Kalaluka then addressed the court and confirmed the development.